Doctors aren’t the only ones using CT scans anymore. Scientists are also using computed tomography, a process where many X-rays are taken in sequence, to construct 3D images offering new insight into the internal structures of animals and artifacts. Using this technology, they can look inside animal skeletons and ancient ceramic jars, or even the citizens of Pompeii, all without having to destroy samples or relics. At the American Museum of Natural History in New York, researchers are using their CT scanner to learn more about the museum’s massive collection of specimens, scanning everything from plants and animals to meteorites and fossils. The paleontology collection alone features more than 4 million samples, some of them collected more than a century ago. “We can get this data that would never have been imagined by the people who collected these specimens,” says Nancy Simmons, a bat biologist at the museum. She described the challenges of studying bat anatomy at an event in October at the museum. 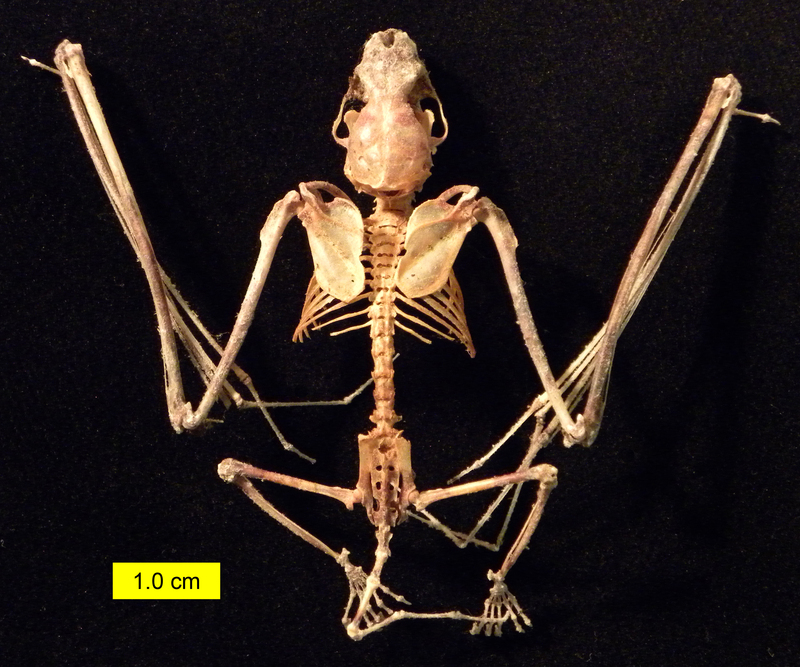 Some bat skulls are mere centimeters long, and the complex internal anatomy is impossible to see. Without the scans, “the only way to get in there would be to break it open,” says Simmons. With detailed 3D models from the museum’s scanner, Simmons and her colleagues can see the anatomy that allows bats to use echolocation for navigation and the muscles responsible for feeding. “We can cut away the parts of the skull we’re not interested in,” says Simmons. Once they’ve digitally stripped away the outer parts of the skull, scientists can study structures like the tiny bones involved in hearing. Curtis, a post-doctorate student in Simmons’ group, is using an iodine stain on bat specimens to study the muscles involved in smelling and breathing. “If we want to understand how these muscles are organized around the skull, we can use this staining,” says Curtis. The digital images generated with the staining show how muscle proportions differ depending on how each species smells and breathes.